Op deze pagina vind je de deelnemers en alle verdere informatie over het GM toernooi. 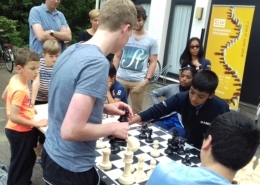 The Schaakweek Apeldoorn GM tournament is a 10 player Round Robin tournament. The tournament will be played at Denksportcentrum Noord, Sleutelbloemstraat 22, 7322 AG Apeldoorn. The most recent FIDE Laws of Chess (January 2018) are applicable. The following specifications will apply. Article 6.3.1. 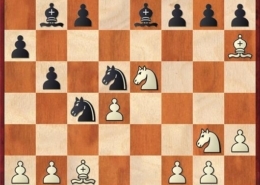 The rate of play is 90 minutes for 40 moves, plus 30 minutes for the remaining moves with 30 seconds cumulative increment for each move starting from the first move. 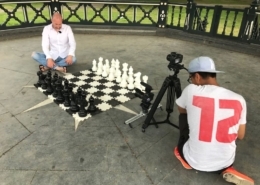 All moves must be recorded. Article 6.7. The default time is 30 minutes. 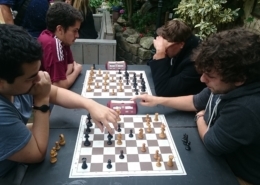 Any player who arrives at the chessboard after the default time will lose the game unless the arbiter decides otherwise. Please contact the arbiter as soon as possible in case of force majeur. Article 9.1.1. 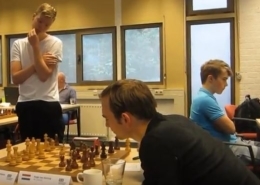 Players are only allowed to offer a draw to the opponent in a clearly drawn position and after getting consent of the arbiter to offer the draw. 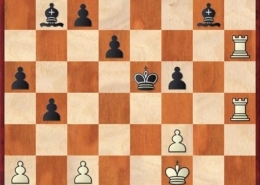 For clarification: A clearly draw position can only appear in an endgame where there is only very limited material left on the board. Article 11.3.2.1. During the game it is not allowed to carry a telephone (or any other electronic device). A player carrying such a device will lose the game. 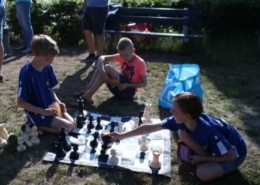 It is allowed to bring a telephone (or other electronic device) to the tournament venue, but it must be completely switched off and be handed to the arbiter before the first move has been made. 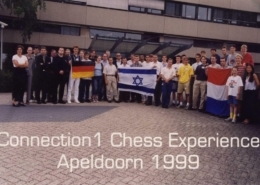 Pairings will be based on FIDE Berger tables for round robin tournaments. The drawing of lots for the pairing numbers will be conducted in a public event at least 7 days before the start of the tournament. Players will be notified on the outcome of the drawing of lots within 24 hours. Prize money will be shared between players with the same score. 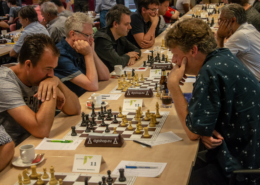 In the situation of a tie for the first place, the tournament winner will be decided based on the following tiebreak criteria: 1) The mutual results, 2) Buchholz, 3) Most wins, 4) Most wins with black, 5) Drawing of lots.Other players will be ordered according to SB score. 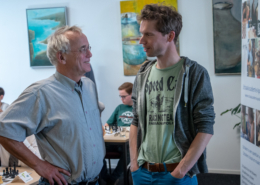 Results will be reported for rating to the KNSB (Royal Dutch Chess Federation) and for rating and title norms to FIDE. All rules are subject to the interpretation of the chief arbiter.